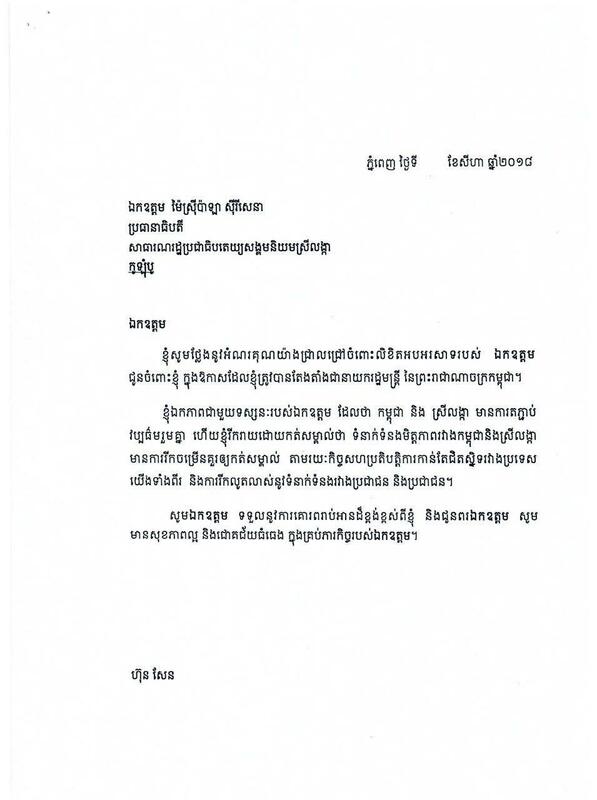 Phnom Penh (FN), Sept. 14 - Cambodian Prime Minister Hun Sen separately sent a thank-you letter to President and Prime Minister of the Democratic Socialist Republic of Sri Lanka for congratulating Cambodian People's Party (CPP) over the victory of general election 2018, according to the Samdech Hun Sen’s letter addressed to President Maithripala and Prime Minister Ranil Wickremesinghe dated on 31 August 2018. 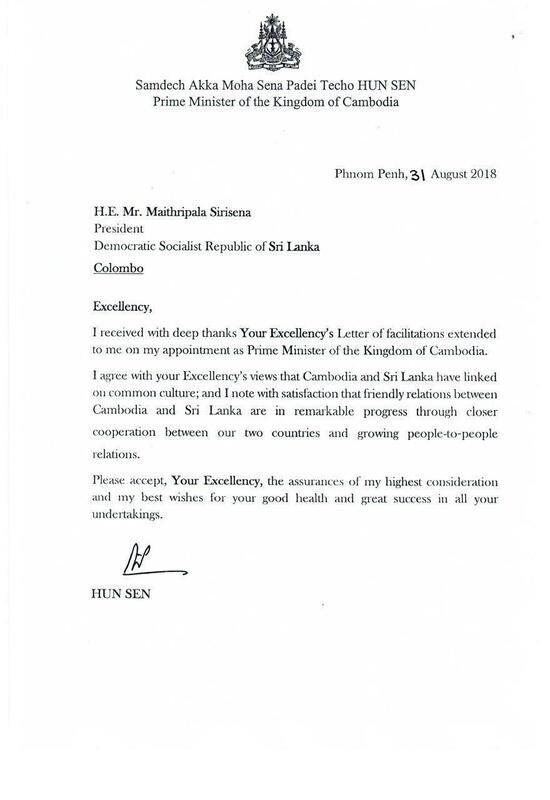 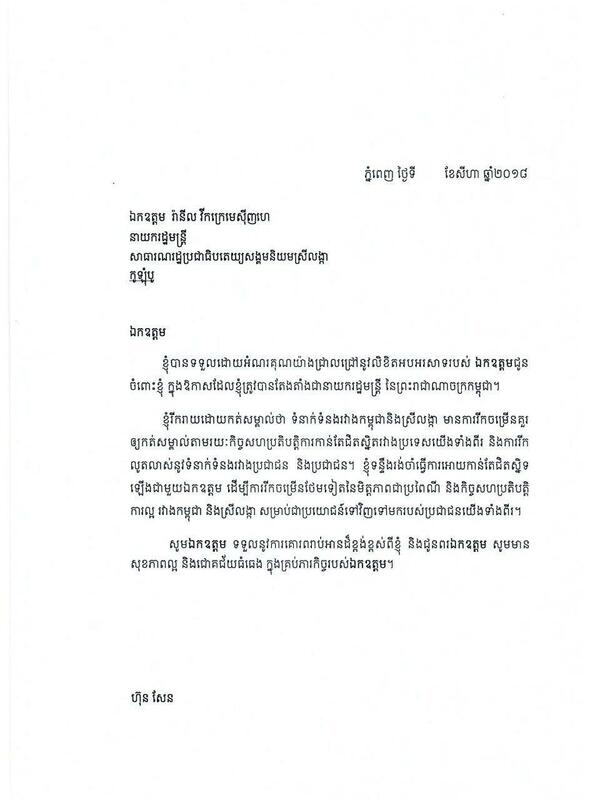 “I received with deep thanks Your Excellency’s Letter of facilitations extended to me on my appointment as Prime Minister of the Kingdom of Cambodia,” Prime Minister Hun Sen wrote in the letter. 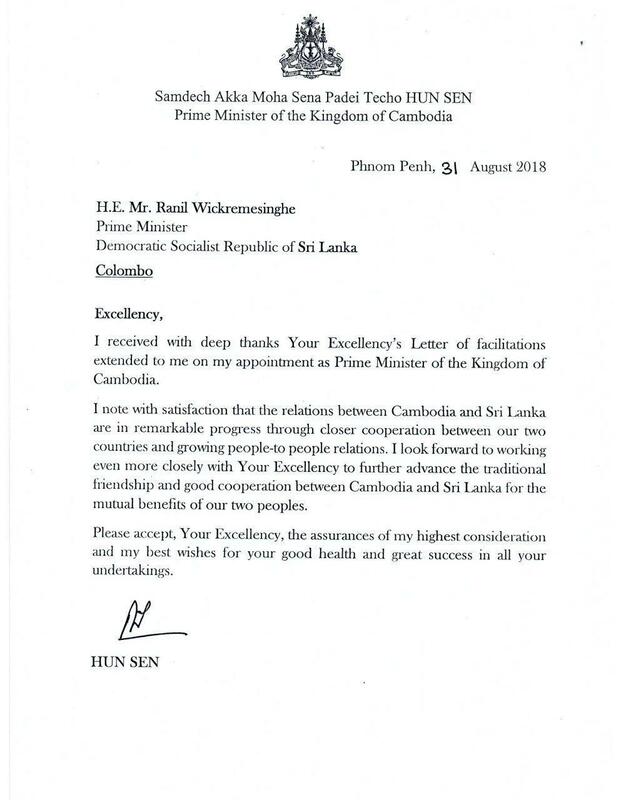 “I agree with your Excellency’s views that Cambodia and Sri Lanka have linked on common culture; and I note with satisfaction that friendly relations between Cambodia and Sri Lanka are remarkable progress through closer cooperation between our two countries and growing people-to-people relations,” he added.